As part of our mission to promote health and wellness in the Ottawa community, Sante Chiropractic Wellness offers a variety of complimentary services to schools, sports teams and organizations within the community. Please click here to request your complimentary session. We look forward to helping you with your wellness needs. Recent injuries to high profile athletes such as Sidney Crosby have increased concussion awareness and highlighted the importance of concussion screening, prevention and management. Early diagnosis is key and taking steps to manage concussion injuries is crucial to preventing lifelong issues. The Keep Your Head in the Game Concussion Screening includes a specialized neurological test program for balance, coordination, memory and concentration. This base-line score will be maintained on file and will allow for a more accurate follow-up for any player who may sustain neck or head trauma during the season. We look forward to helping your team have their best season yet! Click here to request your complimentary session. Sante Chiropractic offers free bilingual posture screening clinics to the schools in our community. The screening can identify any postural concerns that may hamper a child’s ability to heal, ward off infection and learn. 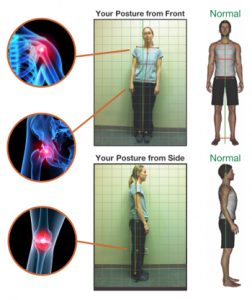 Chiropractic can also screen for scoliosis, a lateral or sideways curvature of the spine. Just as it is important to have your child’s teeth checked by your dentist, it is also important to have your child’s spine checked regularly for proper development. Chiropractic can also help with these common childhood health conditions: bedwetting, growing pains, postural problems, constipation, headaches, scoliosis, ear infections, painful joints, sinus problems, frequent colds, poor concentration, and stomach aches. The screening does not involve any manipulation or adjustments. It is safe, respectful and only takes about 5 minutes to complete. Utilizing the Insight™ Millennium Subluxation Station, a state-of-the-art technology approved by the Space Foundation, we can analyze employee’s abnormal spinal function which causes abnormal nervous system disturbance leading to a lower state of health. 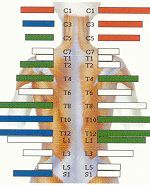 of the different levels of stress in the muscles of the neck and shoulders, providing an awareness of the important role that the spine and nervous system plays in their overall ability to function effectively in the workplace. 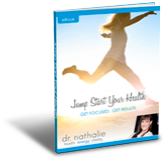 About Dr. Nathalie Beauchamp, B.Sc., D.C.
Dr. Nathalie Beauchamp, B.Sc., D.C. is an Ottawa based chiropractor, a certified personal fitness trainer, a professional natural figure/bodybuilder, a wellness consultant, lecturer and local TV personality She is the co-author of the published book—Wellness On The Go: Take the Plunge- It’s Your Life! 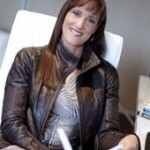 and the creator of the Roadmap to Wellness, an on-line coaching program, designed to teach clients how to live a wellness lifestyle. She is also the founder of the annual Ottawa Health and Wellness Expo a community based event that gathers over 2 thousand people each year and the W3 Ottawa event (Women – Wisdom – Wellness), a women’s day conference celebrating and empowering women in our community.